Noe Slipcovered Headboard and SkirtNoe Slipcovered Headboard and Skirt, alt="Noe Slipcovered Headboard and Skirt, "
Print Clean-lined and simple but tailored with a slipcover and skirt, Noe is more understated than bland. The bedskirt and cover are sold as a matching set to keep the look harmonious. 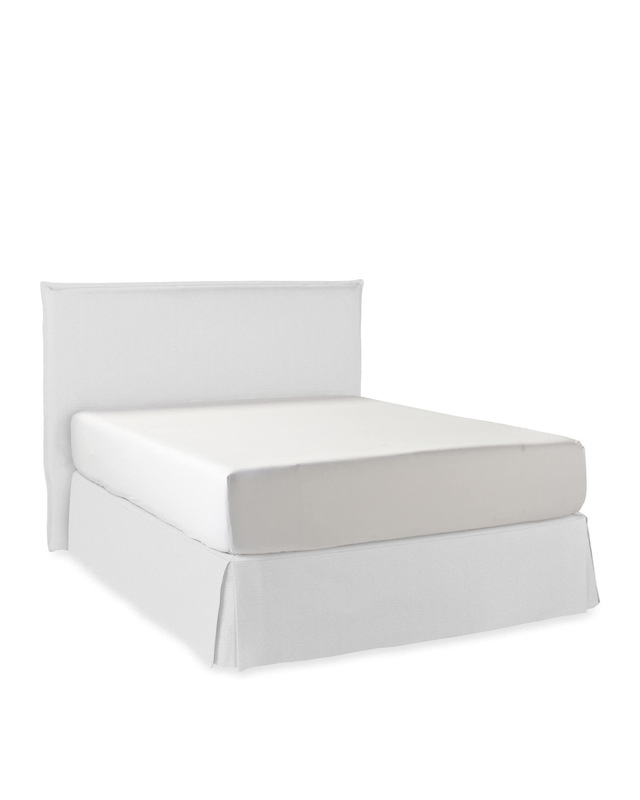 Best of all, this delivers the finished look of a fully upholstered bed with less bulk. Durable mortise and tenon construction. Soy-based foam and fiber batting. Attaches to most standard metal bed frames (sold separately).